Sometimes I think it's fun to hear about what other people are watching because just like the books you read, the shows you watch say something about who you are. I don't know how much I like admitting that right before My Great Confession as to what we are engaging with but I'll admit to it all the same. For better or for worse, I'll be sharing what some of our top picks are at the moment. All of these titles will be linked to the Wikipedia page in case you have an interest in learning more about them. We started watching this when we were in temp housing and didn't have a whole lot to do. Now we watch it, regardless of whether or not we have anything else to do. This show was created by the same people who made the television show LOST. (We've never seen LOST and have no intention of being drug into that drama.) We will, however, thoroughly enjoy Once Upon a Time. 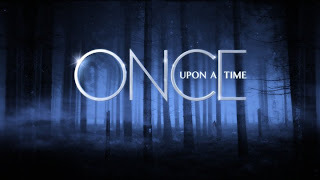 The basic story plot which this show revolves around is the story of Snow White. "Snow", as she is called on the show, is in a war not of her choosing with the Evil Queen. The Queen has sent all fairy tale characters "to a world without magic" - our own world in this present moment - where happily ever afters are sure not to happen. Favorite character? I'm kinda thinking Rumpelstiltskin. Mary: What do you think stories are for? These stories are classics. There's a reason we all know them. They're a way for us to deal with our world. A world that doesn't always make sense. So I take it you haven't seen the season finale yet? I'll just say I wasn't sure if they were going to wrap up the current storyline, and if they did, what in the world they'd do next season, but they managed it all quite nicely. I'd forgotten about the opening scenes in the pilot, and I hadn't noticed the see-throughness, but I have wished the Blue Fairy was a bit more covered. Otherwise, though, I've appreciated that it has been clean. I love the story-telling as well. I got "Emma: Strong, independent, and caring" on the quiz, but the results show my answers reflecting Emma and Jiminy were tied. Hmmm...you made me more interested. Maybe this summer we'll start at the beginning. Is Hulu free? Our fav shows are likely NCIS and Monk...even if it is not showing now we have it on DVD. We really enjoyed Lost...till the disappointing end. I'm curious now about the Great Confession! I had been DVRing Once Upon a Time, but I still needed the first 3-4 episodes, so I was holding off on watching them. We swapped companies since then, so I lost ALL of them. "sigh" I'll eventually watch it, Lord willing. It sounds like something I would really like AND be able to talk Jonathan into watching, too. Yeah, we really like Once Upon a TIme and Rumplestilskin here at Semicolon Home Headquarters, too. I like it that my ten year old can watch and enjoy with me. I like the fractured fairy tales. 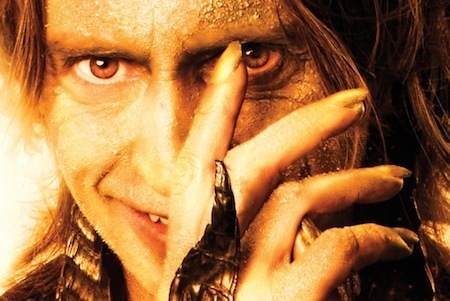 I like Rumplestilskin's glittery skin for some reason. I have Once Upon a Time in my list. I didn't catch the first few episodes on Tivo and I do so like to watch a series in order! I am also intrigued by the Snow White and the Huntsmen trailer, the movie is to come out in June I believe. 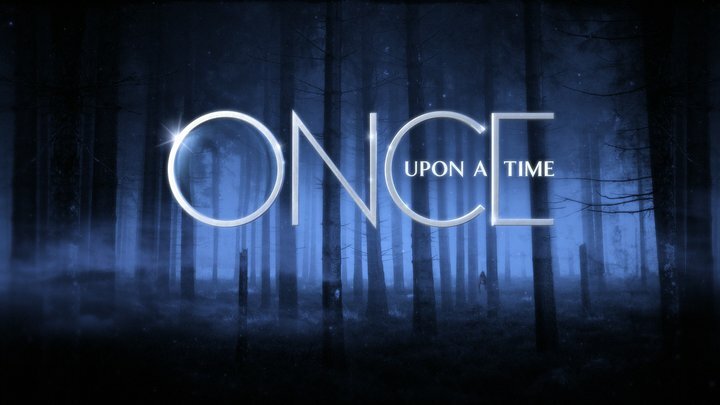 I LOVE Once Upon A Time!! One of my favorite shows. I love how they take a familiar fairy tale and put a new twist on it. So smart and well written! I liked the beginning of the finale but not a huge fan of the ending. Joel and I feel the same way about stretching this show out. 2 seasons, ok. 3 seasons will be a bit of a stretch. 4 seasons and I'll be done. We were Lost fans for the first 2 seasons but by the 3rd season it felt like they didn't really know where they wanted to take the story and it was just wandering around raising questions with no real answers. I don't like to be strung along so I'm hoping they don't do that this time. Haven't seen the show and can't decide if I'm interested. But your review has certainly piqued my interest. I second you on cable. We got it, largely because it was such a cheap deal, but there's honestly nothing on. Flipping among channels is a symptom of this, I suspect. Dying to watch this. Will wait until the library has it on DVD, because that's how we watch everything. This is definitely my favorite show right now as well. : ) Because of T/N1's recent trip I had TWO episodes to watch back-to-back and just finished the season (belatedly on Hulu) with a bag. Re-told fairy tales can be SO good, and yet, they can also be SO bad. I'm glad this one has been good so far. I've been wondering about this show. Looks like I'll be looking it up on the computer too.